Fortysomething minds are being blown all over the country today as Daryl Hall & John Oates and Tears For Fears have announced that they’re teaming up for a massive tour this summer. As befits vintage pop stars of this magnitude, they will hit 29 North American cities, including Nashville, Miami, New York, Dallas, Toronto, Denver, and Las Vegas; the arenas they’ve booked are rather large as well, like Chicago’s Allstate Arena and the Staples Center in Los Angeles. “I am very excited to be touring with Tears for Fears. Their music has a timeless quality that complements what we do. I think everyone is going to love this show!” said Daryl Hall. “I can’t wait to get back out on the road in 2017. 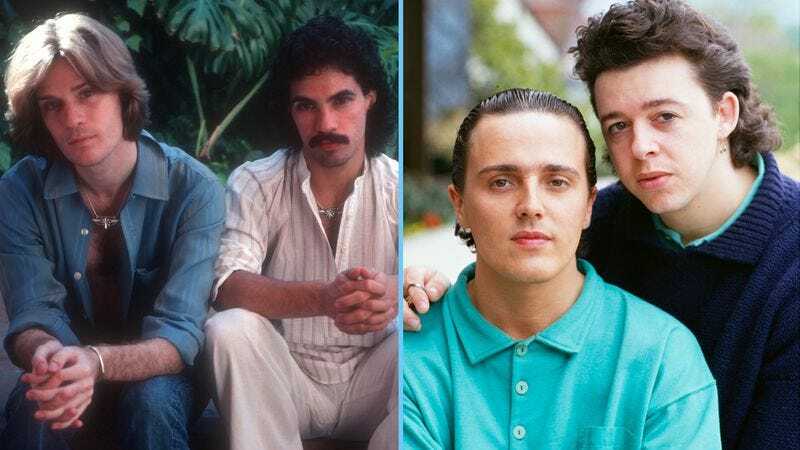 Performing with Tears For Fears will be an exciting and musical experience for me and all the fans,” added John Oates. Tickets go on sale March 10, so expect many adults to dip into the kids’ college fund as they pony up to purchase some sweet arena tickets and re-live the ’80s.